Already delayed from spring until fall, Fitbit's upcoming smartwatch may not ship with a planned app store, or possibly even third-party apps. Instead Fitbit will probably take an approach similar to the Apple iPhone, launching with some custom-made apps but holding off on the storefront, sources informed The Verge. The company is reportedly trying to get major partners to build apps, but may have to craft them itself since an SDK may not be finished in time. The watch's interface is said to be similar to the Blaze, letting people swipe through apps to select them. The difference is that the watch should have additional apps, covering areas like mapping and music. On Tuesday, a report emerged that Fitbit was postponing the product because of hardware issues. The company has allegedly had problems tailoring its design to GPS and waterproofing —both features present in the Apple Watch Series 2, which any serious smartwatch effort will have to compete with. Separately, Verge sources indicated that Fibit has also considered making a product for the elderly. 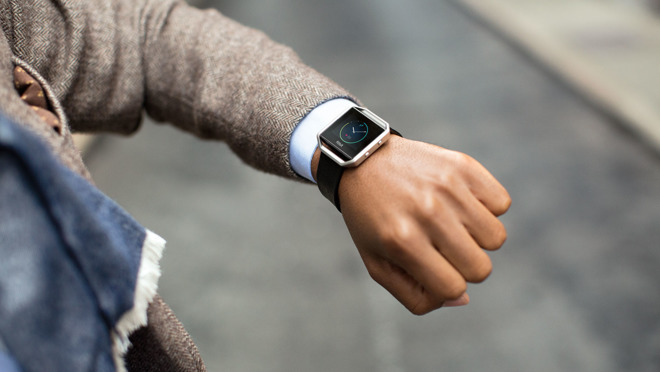 Plans were reportedly shown at an all-hands meeting last year, but the executive who made that presentation has since left Fitbit, raising questions about whether the project is still alive. While continuing to dominate the wearables market, Fitbit's performance has dragged in recent months, leading to job cuts and reined expenses. A successful watch could revitalize the company's fortunes.